Amniotic epithelial cells (AECs), isolated from placenta, have epithelial cells and stem cells characteristics. 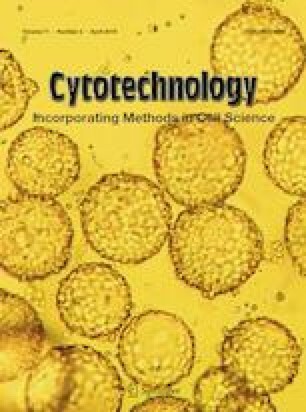 Most of the previous studies focused on the biological characteristics of human amniotic epithelial cells, which demonstrated amniotic epithelial cells not only had low immunogenicity and potent potential to differentiate into three germ layers, but also could secrete various immunomodulatory factors. However, compared to study on human amniotic epithelial cells, few studies have been done on other animals. In this study, sheep amniotic epithelial cells were successfully isolated and their surface makers were accessed by immunofluorescence assay, and found that AECs were expressed Oct4 and Sox2, which were necessary for maintaining the undifferentiated state of pluripotent stem cells. Based on cloning efficiency and growth kinetics assay, AECs were found to possess self-renewal capacity and the growth curve was S-shaped. In addition, AECs could be induced into adipocytes, osteoblasts and chondrocytes in vitro, showing they had multi-differential ability. Reverse transcription-polymerase chain reaction results showed that AECs expressed CD29, CD44, CD90 and CK19, and didn’t expressed CD34, CD45 and the telomerase gene (TERT). Little change in chromosome number was observed in AEC cultures for up to at least the first ten passages. In summary, this study results revealed that sheep AECs possessed more advantages for cell therapy and might play a key role in cell therapy and regenerative medicine in the future. Xulun Wu and Fan Gao have contributed equally to this work. This research was supported by The Agricultural Science and Technology Innovation Program of China (Grant No. ASTIP-IAS01) and National Natural Science Foundation of China (Grant No: 31472099).